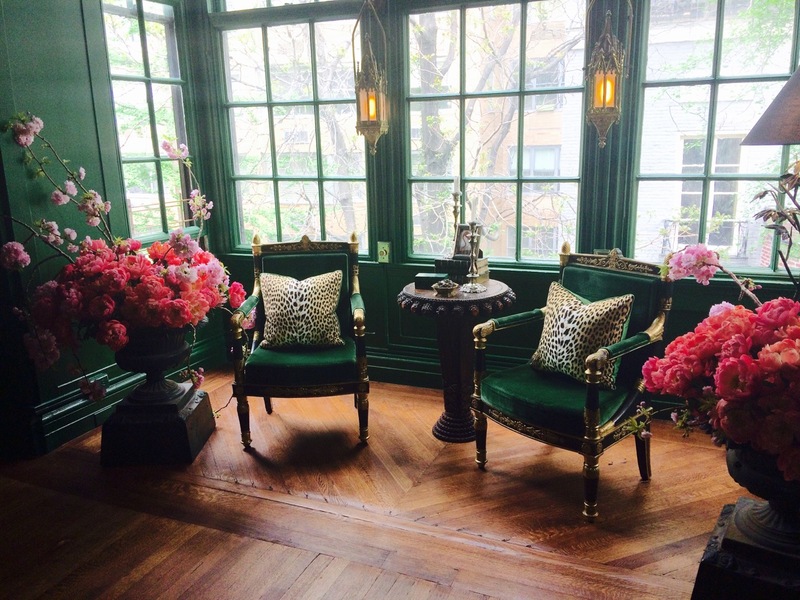 We always have a blast touring The Annual Kips Bay Decorator Showhouse, and this year was no exception! Three of us from The Well Appointed House team attended press day at the show house and we are excited to share photos of the amazing rooms. 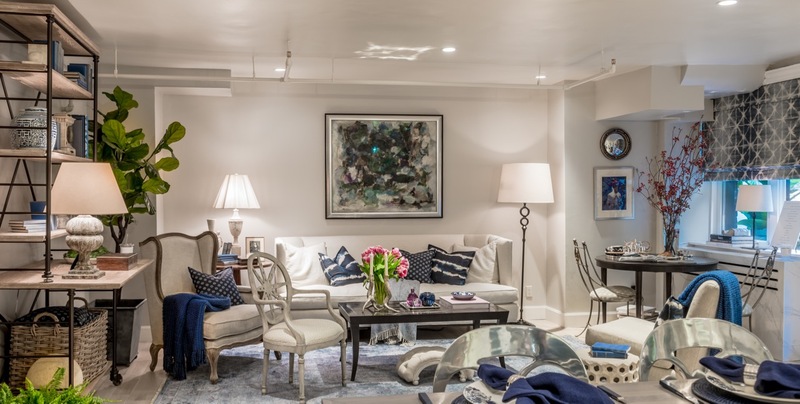 If you aren’t familiar with the Kips Bay Decorator Show house, it began in 1973 when several dedicated supporters of the Kips Bay Boys & Girls Club launched the show house to raise critical funds for the organization’s after school and enrichment programs. Over the past 40+ years, it’s become a bit of an institution among NYC area designers. 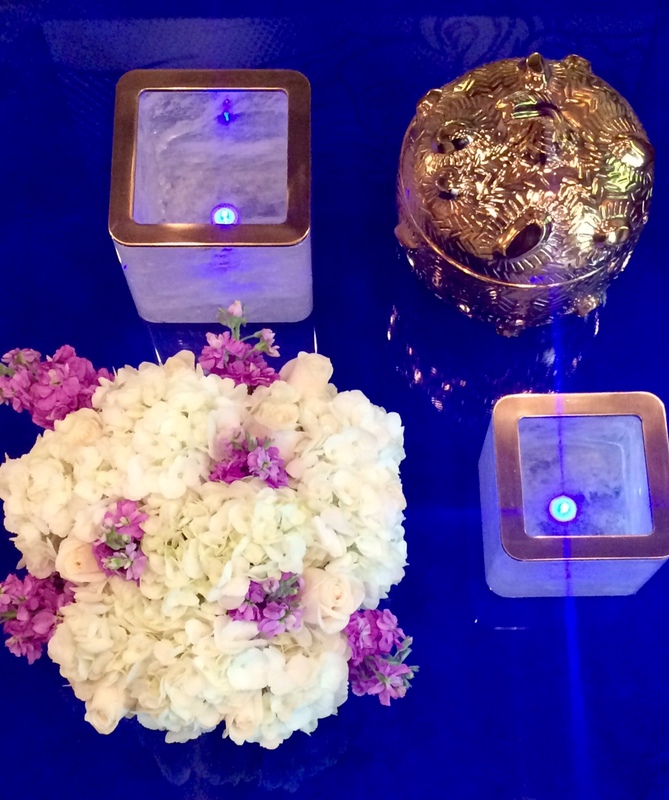 It’s wonderful to see talented designers come together for this great cause and create beautiful spaces from scratch. 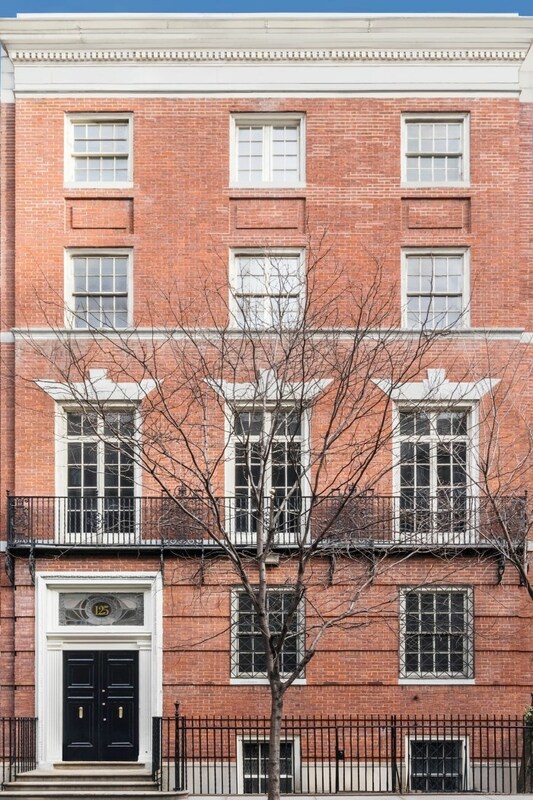 Located at 125 East 65th St., The Lenox Hill Town House has been transformed into a collection of interior masterpieces. Click here if you would like to see the “before” photos. Each room in this stunning Upper East Side home is unique, tying together an eccentric array of colors, fabrics, and textures. 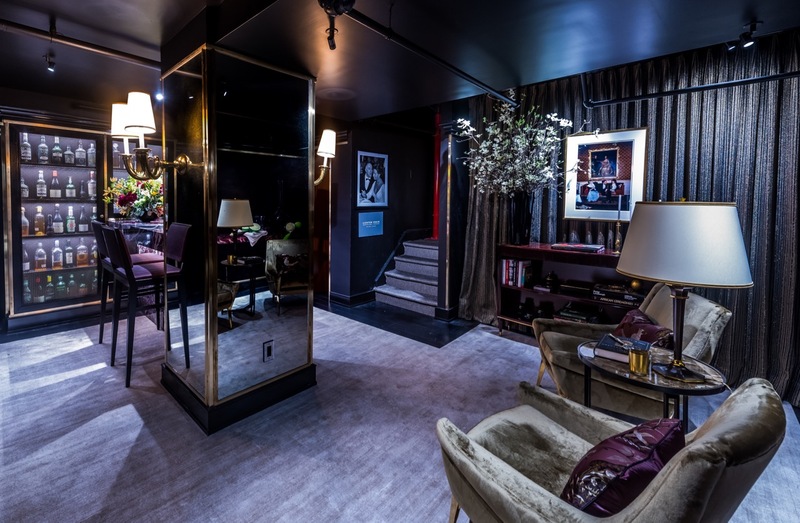 Some highlights include a gorgeous MJ Atelier black and white chinoiserie wall covering with hand applied plaster motifs in a design by SAVAGE, breathtaking floral arrangements by Ken Fulk, and an incredible bamboo archway by Janice Parker Landscape Design. One of our favorite projects in this year’s show house is “Simpatico” by sister duo Kirsten Fitzgibbons and Kelli Ford. 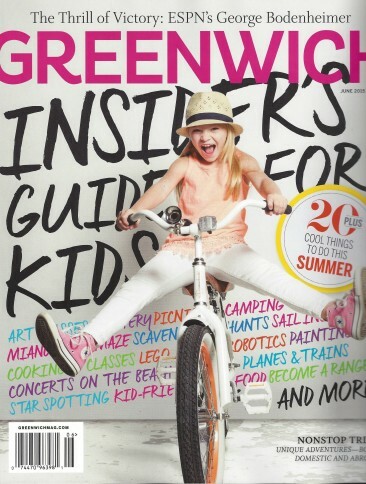 We were excited to find out that the sisters are from Greenwich, CT, where we are based! 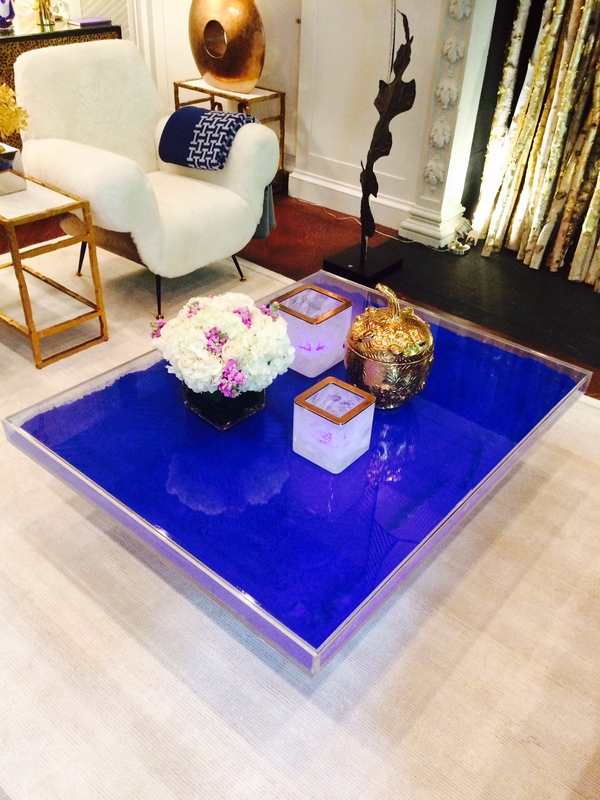 With vibrant hues and chic accents, this refreshing space will instantly make you happy. 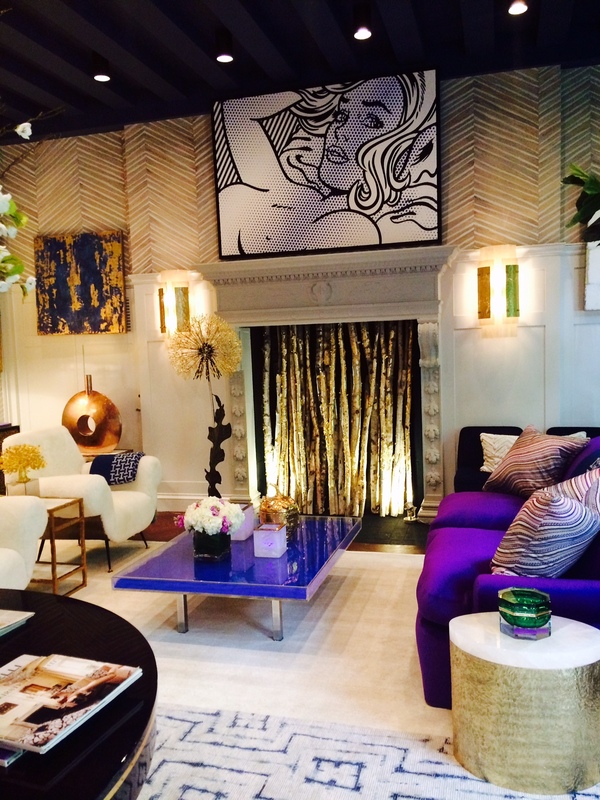 Check out the photos below from the Kips Bay 45th Annual Designer Showhouse, and let us know what you think in the comment section! Photos by Alan Barry, with the exception of Billy Cotton’s space , which can be credited to Stephen Kent Johnson. 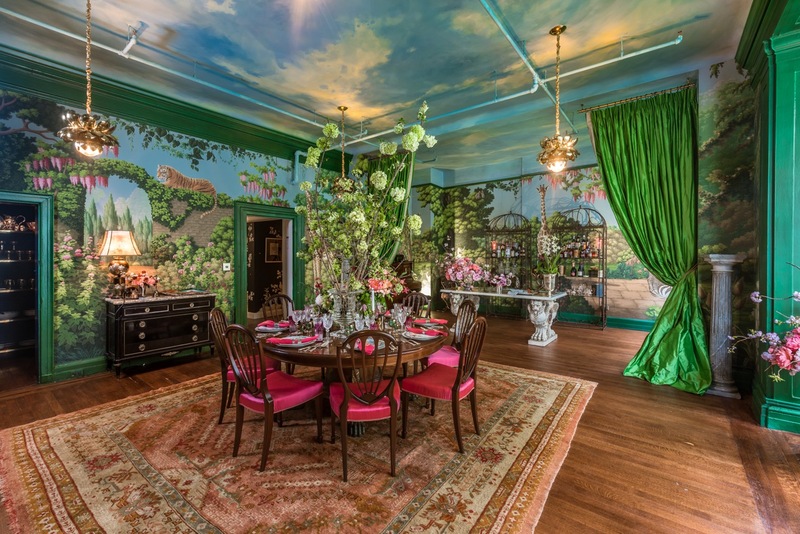 The Robert Stern team has glamorized Charles Platt’s staid brown wood-paneled dining room with bold colors; one wall of yellow Venetian plaster features large framed fragments of Andy Warhol’s 1966 Day-Glo chartreuse and hot pink cow-head wallpaper from Mr. Stern’s personal collection. Villa Necchi, a 1935 house in Milan designed by Piero Portaluppi, which they admired for its stripped-down classicism in Luca Guadagnino’s 2009 film I Am Love, inspired us to combine a selection of Italian furniture dating from the 1930s through the 1950s with Modern French pieces from the same period. 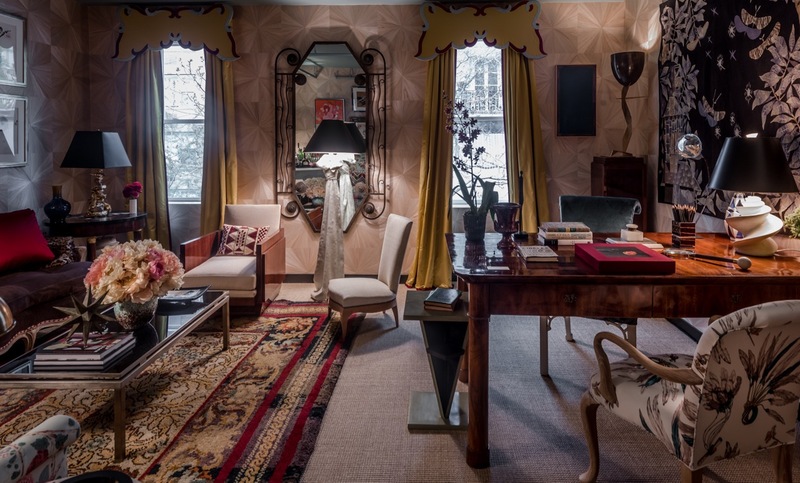 A “Janus” chandelier, designed by Robert A.M. Stern Architects for Remains Lighting, provides soft light above an all-glass desk by noted Italian designer and architect Gio Ponti in the window bay; to either side, a pair of 1930s French torchères attributed to Louis Süe in front of antique mirror panels restores the room’s original symmetry. The team organized two seating groups—a pair of white Kerstin Hörlin- Holmquist lounge chairs and a blue upholstered wing chair by Melchiorre Bega—on a beige and brown custom net- patterned circular rug by Crosby Street Studio. The chartreuse of the wallpaper is picked up in Dedar silk taffeta on an 11-foot sofa; a small settee is upholstered in a contrasting deep gardenia-leaf green velvet, both specially designed for this installation. Andirons by Gilbert Poillerat accent the firebox and tomato-red plates by Gio Ponti for Richard Ginori line the mantel. A custom mobile by Marco Mahler hangs over a grand piano; behind, William Pettit’s abstract “Nor Night Me” (1969), also from Mr. Stern’s collection, completes the scene. When they saw the space we’d been assigned, they were… taken aback. Their room recalled the ultimate design school challenge: Basement. No natural light. Low ceilings with random soffits and bumps. Multiple doors on every wall. A tangle of low sprinkler pipes close overhead, which had to remain. Entry via a dark and narrow stair. Proportions that were… quirky. Oh, and also a massive column off center in the middle of it. 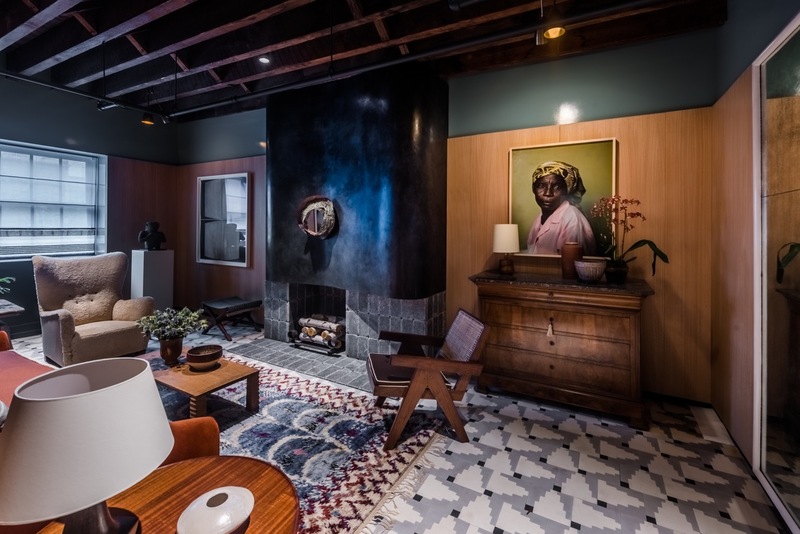 It was definitely a departure from the glorious salon that they had already designed in their heads, inspired by the architecture of this historic Charles Platt home. But why fight it? Cloistered, dim, intimate spaces may not make for the best living room but create the ultimate setting for a bar and lounge. Dark walls and ceilings to camouflage the piping and irregularities. Warm charcoal de Gournay silk wall panels outlined in bronze. Carefully calibrated lighting, aimed away from the ceiling, focused on the burgundy Italian marble bar and our friend Anne Harris’s mural, inspired by 17th century Dutch painting, with its brass candelabra, fire, and glassware gleaming in chiaroscuro. A pair of Charles Ramos chairs, upholstered in a rich champagne silk velvet with a lumbar of a traditional brocade of birds and flowers, recolored in champagne, garnet and metallic thread by Dedar. Bottles and decanters lit displayed behind bronze mesh doors. A mirrored powder room with a brecciated grey marble vanity, black Kohler fixtures with a brushed bronze Kohler faucet. Now that the room is complete. The Lichten Craig team is looking forward to dusting themselves off, turning up the music and kicking back with friends and colleagues for a martini or three. Ironically, contrary to the popular quote (not to mention our initial expectations) this design challenge has left us feeling stirred, and not shaken. The master bedroom expresses a deeply personal and sensory appreciation for nature. A contrast in glamour and texture, the color palette is anchored by wall-to-wall forest green silk and wool drapery panels. The area rug, an extension of the walls and the drapery, creates a forest floor and reflective surfaces in brass and gold reinforce the moonlit quality of the space. 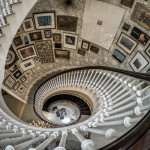 An oversized vintage ammonite museum banner anchors the back wall, and a tiled assortment of framed archeological prints surround the fireplace, creating decorative architecture through scale and gesture. A pair of chaise lounges provide the perfect perch for a couple to unwind after long days of exploration and adventure, and elements of fur and hide through upholstery and accessories nurture through tactile sensuality. The bedroom envelops you in warmth and darkness, inviting a restful reflection and shimmering, moonlit romance. 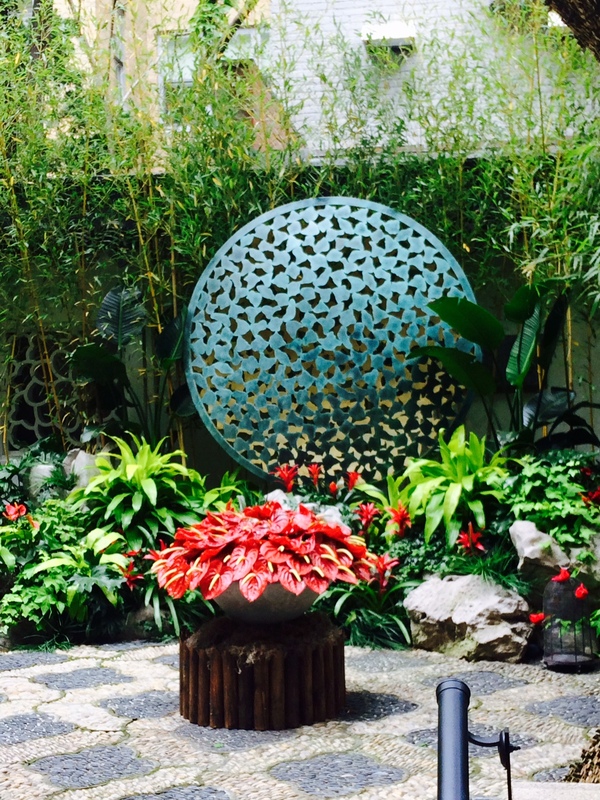 pebble mosaic paving, the impressive display of Scholar’s Rocks, and the wall details of the traditional Chinese garden was a great opportunity to blend the past and the future. Historic elements mix with the global culture of design, highlighting that diversity creates great beauty. The design mixes a range of horticultural elements to surround the existing mature gingko trees. Bamboo was thickly planted to create a lush grove. 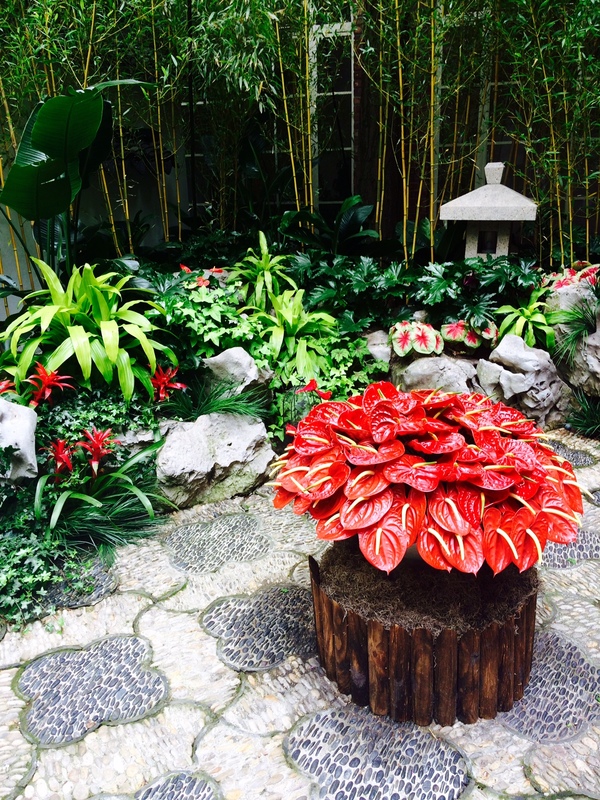 Moving towards the contemporary, the addition of natural and metal tropical plantings adds a modern ambiance while creating a spirited, beautiful garden. in the orbital David Harber Sculpture beyond, then into the less obvious design elements throughout the space. Each new piece adds a dynamic layer – providing rhythm, movement and focal points to subtly guide one through the garden and create a natural journey throughout the verdant space. Janice Parker Landscape Architects is known for their varied work and respect for cultural design and style. 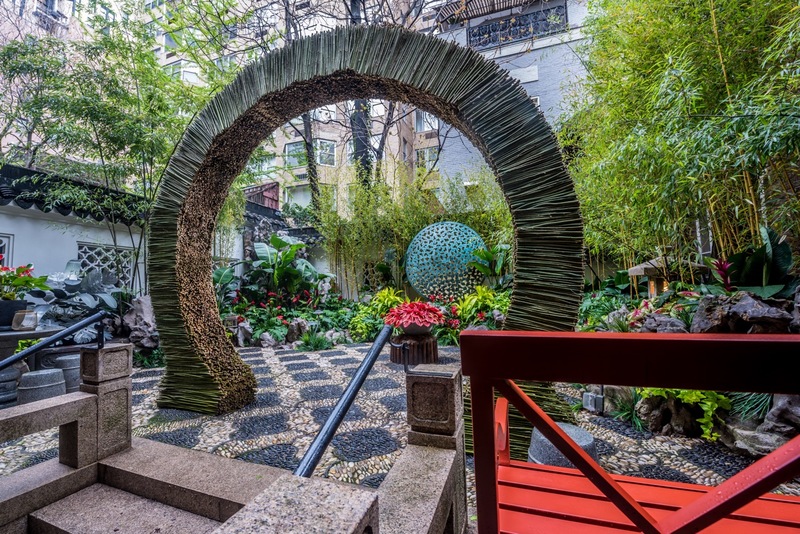 This garden design was seen as a great opportunity to renovate, innovate and blend the stylistic influences of Tony Duquette, Bermuda, China, and Hollywood (Crouching Tiger Hidden Dragon). Nick Olsen’s space is inspired by French modernist salons of the 1930s and 40s, specifically the interiors of Jean Michel Frank and the Paris apartment of Yves Saint Laurent and Pierre Bergé. Woodgrain walls mimic straw marquetry–a Frank signature– while the baroque curtain pelmets bring to mind Christian Bérard, whose works on paper are featured in the room. The rest is a play on styles and textures, with a moody gray mirror vestibule leading to an open and airy sitting room. A classical torso, African mask, and Art Deco lounge chair by Andre Sornay create an exciting tension befitting the ‘beau monde’ of this era. 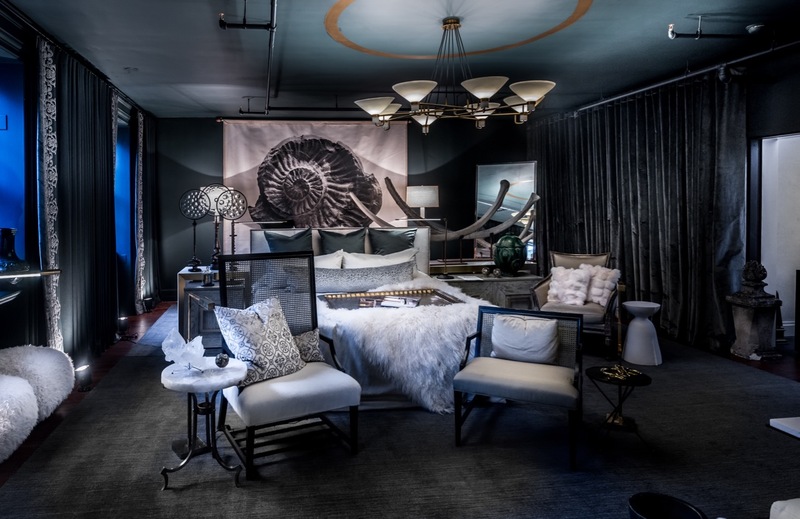 Fortuny fabrics, animal prints in silk velvet and yards and yards of gimps, cords and woven tape are the backdrop to his layered decor for this year’s room. 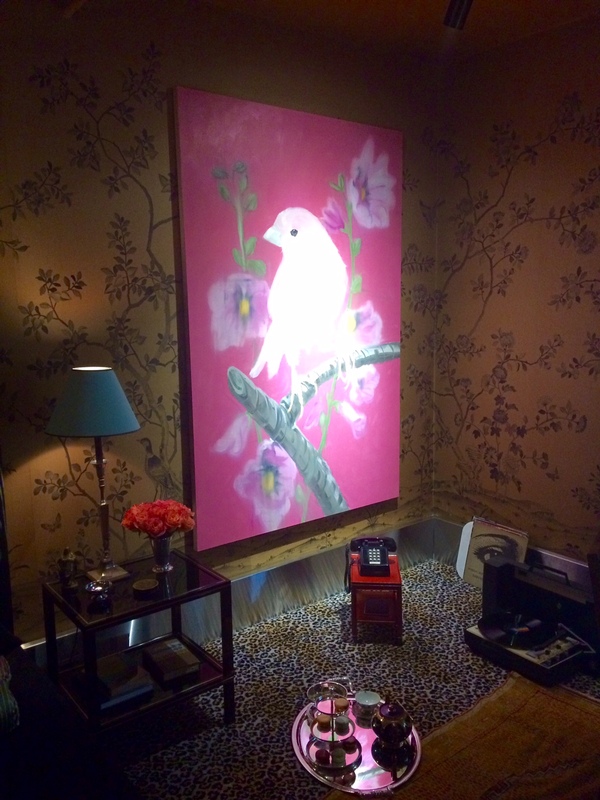 A wall covering printed in London that depicts a room straight out of the Topkapi palace is layered upon with orientalist art and a contemporary Audubon painting by Walton Ford. The provenance and historic value of each item in the room makes it a journey through time, but the sum of the parts will be what is most memorable. 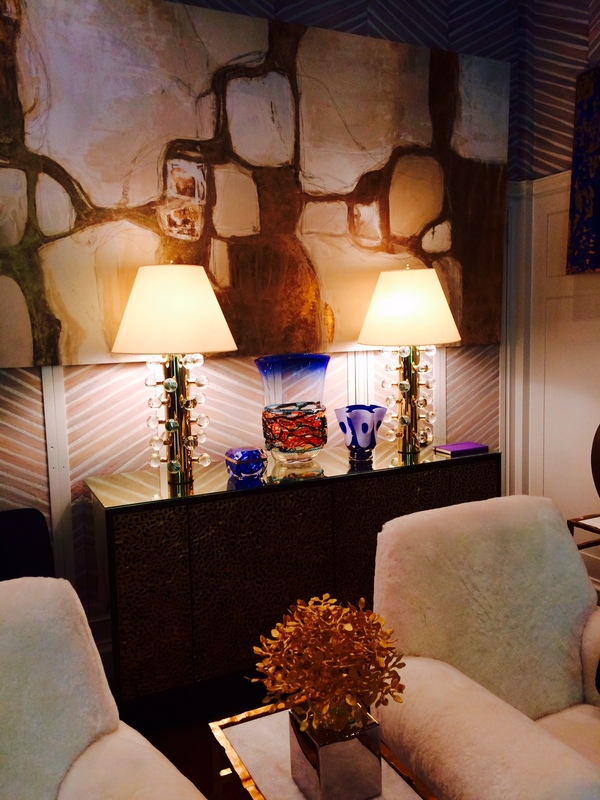 Richard’s inspiration is a room that was collected over time. Much like the old families in Venice or Florence who coveted the workmanship of their artisans, who bought silks and velvets when available and layered them with what they had. Treasured items were purchased over time, with the vision of a curator assembling a museum show. I have been as disciplined and academic in the selection of the contents of the room (having had a short time to do so) but feel I have achieved the eclecticism found in the rooms I speak of. In each of his homes he has a room such as this one we call the library although it is more than that, it is the room we most use to entertain in. 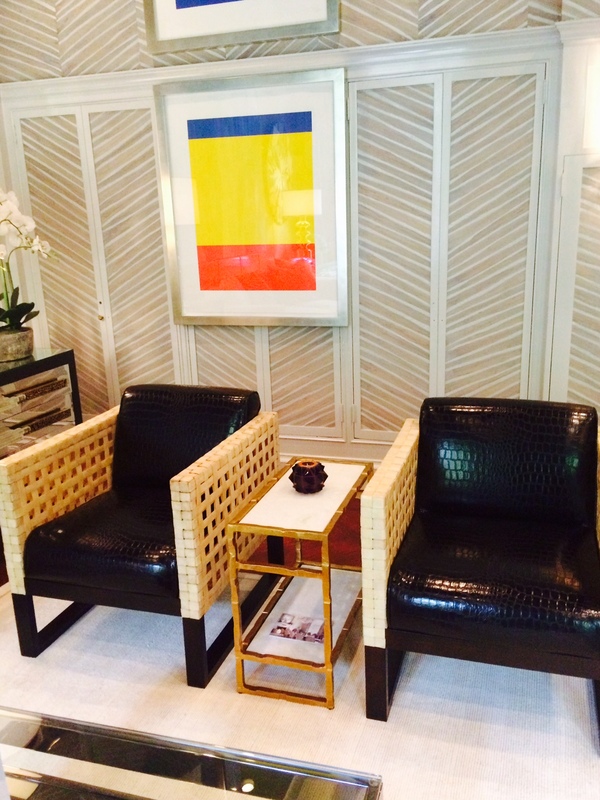 Robert Stilin has created a luxuriously comfortable living space inspired by contemporary European salons. 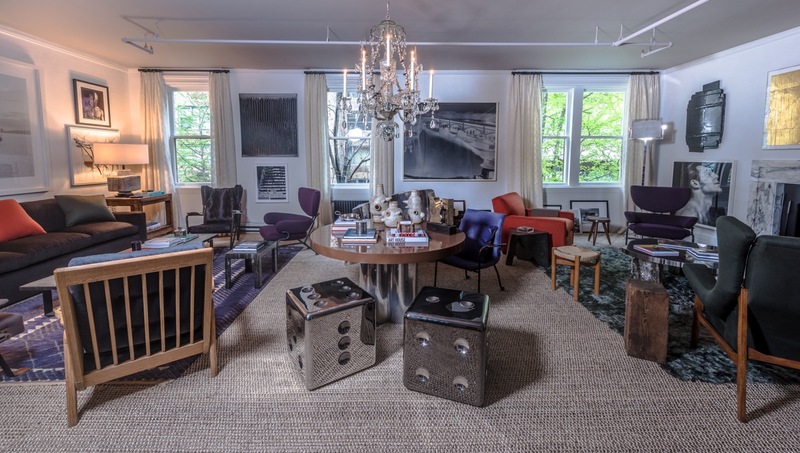 The room, a perfect space for modern New Yorkers to unwind, is set against a backdrop of dry and subtle marmarino plaster, layered with a collection of vintage and 20th and 21st Century Design Collectible furniture, and holds an impressive collection of art, books, and objects. 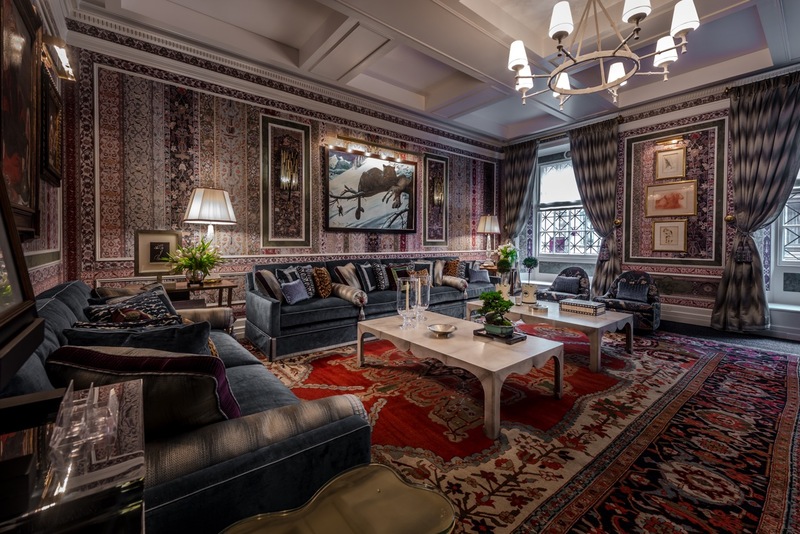 Cashmere and alpaca fabrics and layered carpets set a luxe tone in this rich, functional and relaxing room. 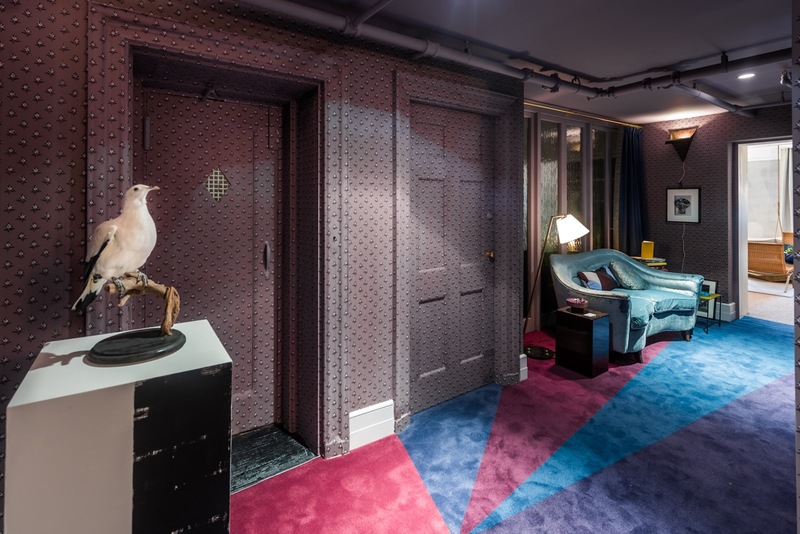 For Neal Beckstedt Studio’s second time participating in the Kips Bay Show House, design inspiration came from global influences in order to create a unique space representative of a jet setting collector. Tasked with designing an upstairs bedroom, Neal transformed the space into a sitting room where French and Scandanavian design are harmoniously paired together through the marriage of iconic vintage designs by Jean-Michel Frank, Frits Henningsen, and Jean Royère. Utilizing a mix of colors, patterns, textures, and materials, the space plays on the idea of raw vs refined. High-gloss blue walls are offset by exposing the home’s structural beams. Modern oak panels encompass the room and offer a streamlined modernity which is then punctuated by the amorphic black plastered fireplace in the center of the space. The juxtaposition of a beautiful vintage Swedish rug layered over the patterned concrete tile floor adds textural interest. A luxurious rust-orange custom curved sofa, designed by Neal, sits opposite the iconic and clean lined Jeanneret Easy Chair, which underscores Neal’s interest in mixing forms. 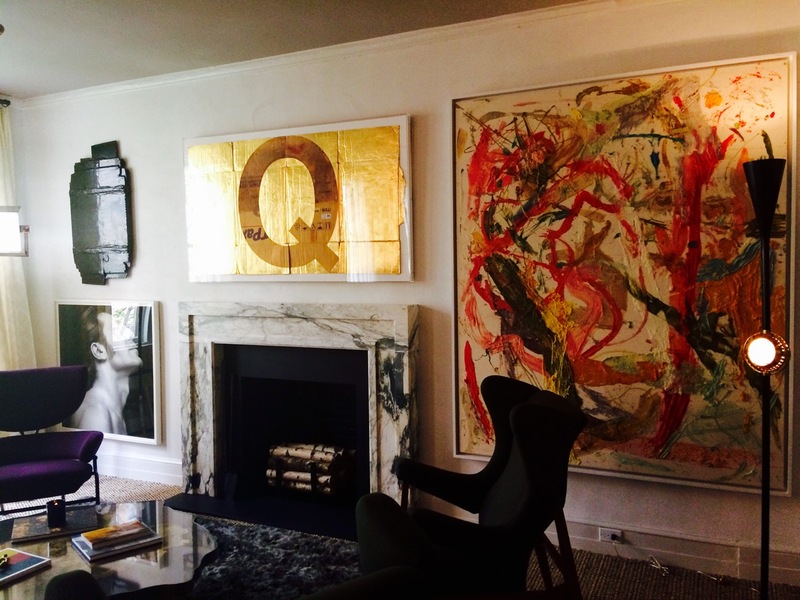 A striking ensemble of art from Yossi Milo Gallery further enhances the global feel of the space. Neal Beckstedt’s discerning eye for layering different mediums create an incredibly chic and intimate atmosphere to catch up with close friends from all over the world. 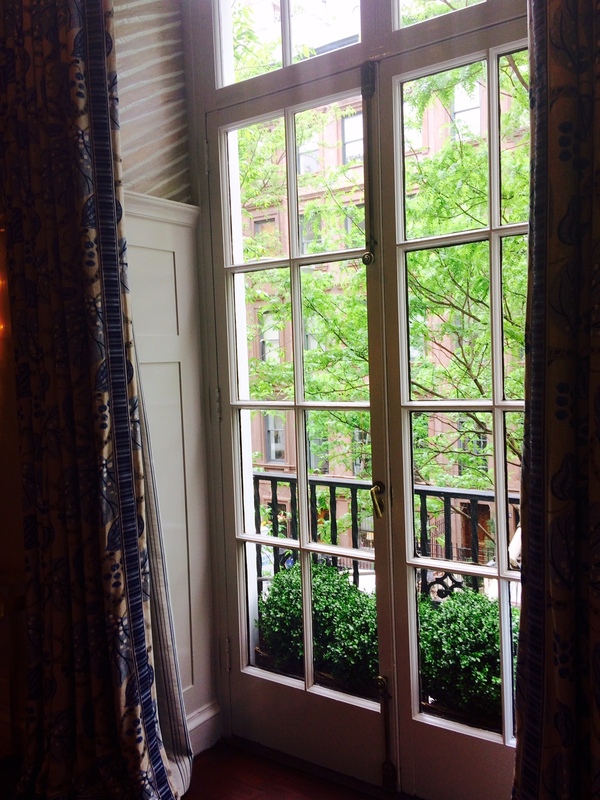 Powell & Bonnell invites you to open the door on the Kips Bay Decorator Show House and discover the masterful mingling of traditional architecture & contemporary design. Rather than strip away the character of existing well conceived details, Powell & Bonnell chose to rethink the elements that form the home’s “soul” and play on them to re- energise the spaces. This process begins with keen senses; “We pay attention to our surroundings as they always tell us where we should go” says Albert Limshue. 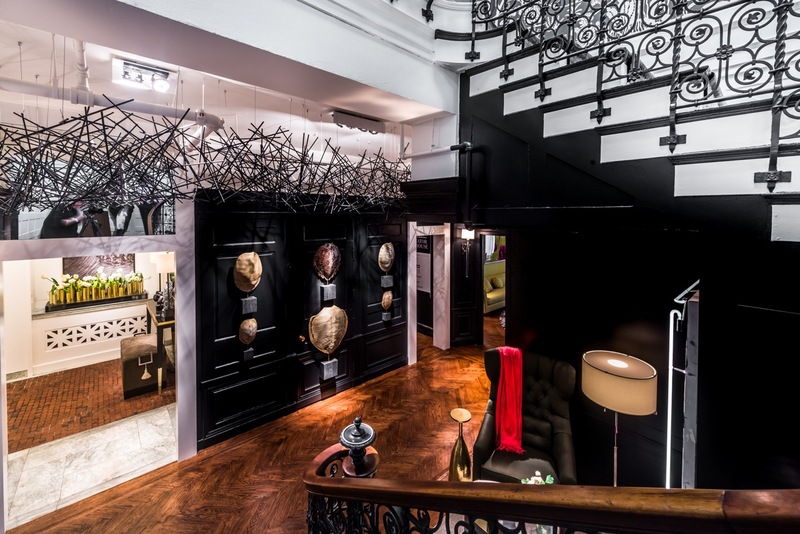 A contrasting black and white palette, not expected in an entrance, establishes a textural backdrop and allows the micro detailed photography, neon framed painting, ceiling suspended installation and stainless steel sculpture to disrupt the seriousness of the spaces, with its otherwise conservative traditional details. The result is a melange of old and new, where seemingly desperate elements happily and respectfully play with one another in a delicate balance. 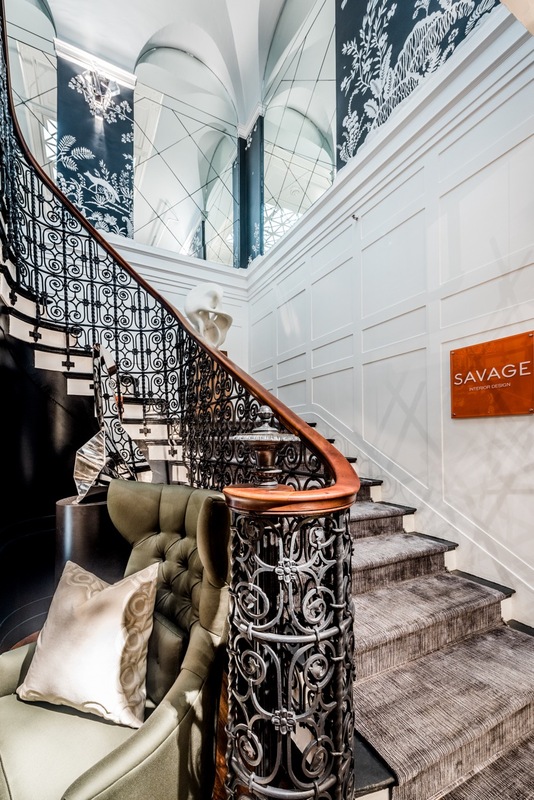 Jonathan Savage of SAVAGE Interior Design was chosen to design the majestic two story grand staircase and landing. 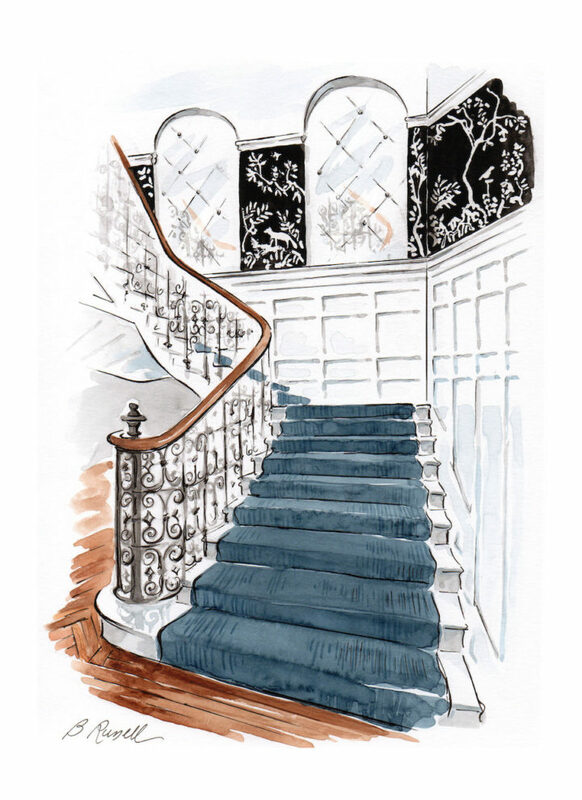 As you enter the foyer your eyes are drawn upwards to this dramatic MJ Atelier black and white modern chinoiserie wall covering with hand applied plaster motifs inspired by Savage’s Southern Roots. The mirrored niche insets along with ice crystal sconces by William Haines illuminate and reflect the incredible Neo-Georgian Ironwork accenting the Staircase. The landing makes a statement in itself with artist Stephen Antonson plaster console table and a Saint Clair Cemin’s sculpture punctuated with a custom settee. The space is a study in architecture, art and design and how they all interplay creating the introduction to this stunning town home. 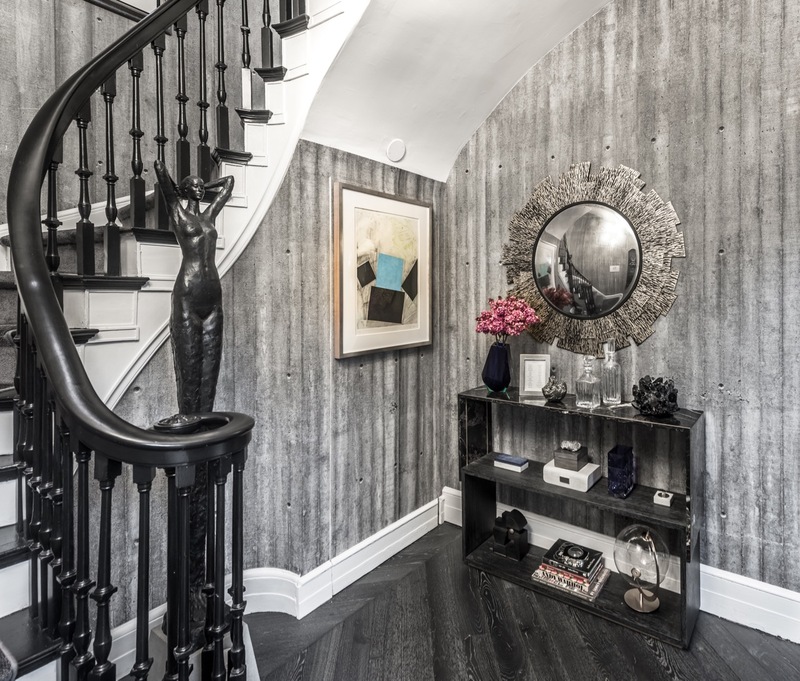 Upon entering the staircase ascension and landings, you are presented with the Second Floor Staircase, where Scardipis Design invites you to walk among Kings – without losing the modern touch- by juxtaposing the classical banister, native to the Upper East Side Townhouse, with wrapping concrete wallpaper. Ascending to the third floor landing, you are invited into the Gallery by the redesigned bespoke chevron wood flooring with brass accents, designed to open up the space and guide you through. They incorporated the existing sprinkler pipes into their design, converting an architectural element into an illuminating floating coffered ceiling, whose light glimmers on metallic paint. The Third Floor Bathroom is unmistakably “his”, employing a dark marble with dominant white veining that balances the wall’s sophisticated vertical marble dust striations. Using a consistent trim, borrowed from the Third Floor Landing, they frame discreet and bold spaces for the vanity and bathtub. Inviting indeed – when the moment strikes, our bathtub features double shower heads for those more serendipitous moments. 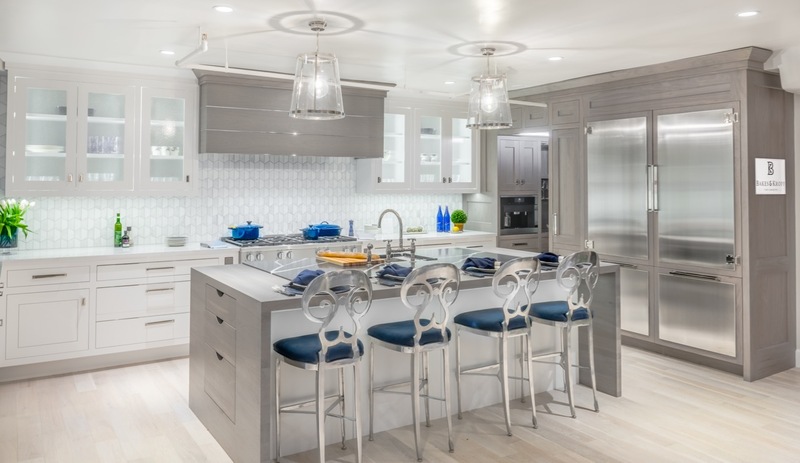 As luxury custom cabinetry designers and manufacturers, Robert Bakes and Paul Kropp of Bakes & Kropp are always seeking to take the classic white kitchen to new heights. 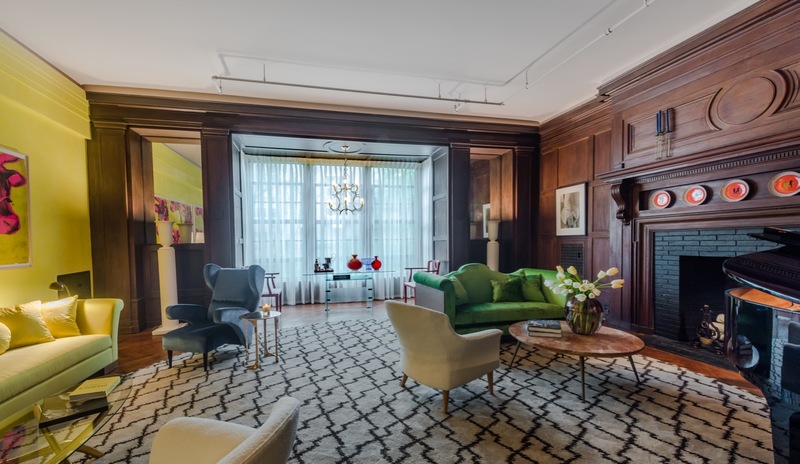 In tune with their understated approach to design, the Kips Bay Show House serves as the perfect venue to unveil their new transitional style collection – Revelane. The inspiration for the Revelane style concept is the visual euphoria that can exist between trends of new and times of old. The cabinetry features modern silhouettes with an emphasis on clean lines and symmetry, but select parts are creatively finished in traditionally “farmhouse” textures, including Bakes & Kropp’s Signature Finish, Fossil Walnut. Quartz countertops in a marble-like finish reflect old-world elegance and beauty, while maintaining durability for modern daily use. The solid Walnut waterfall adds an additional organic element executed in a luxurious way. Armac Martin Hardware, AKDO tiling and Vaughan Lantern Pendants are stylish contemporary details that round out the design and state-of-the-art Miele appliances make this a elegant kitchen any modern family would enjoy. 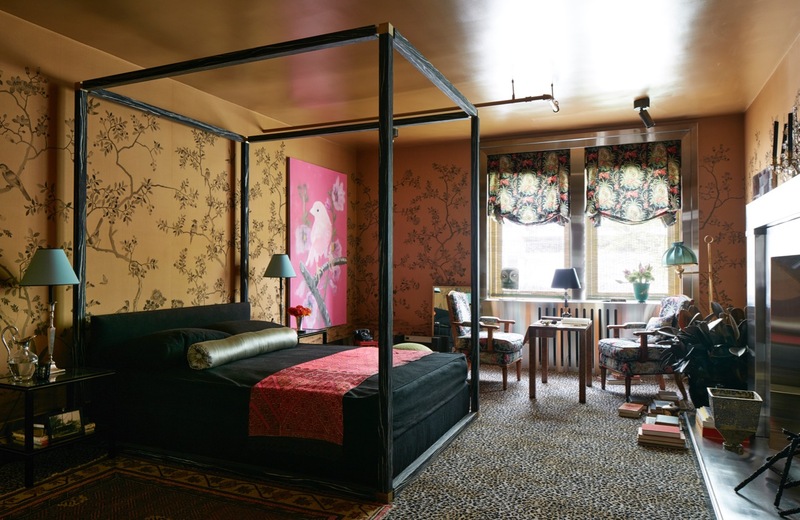 Dineen’s lush, modern bedroom draws on influences like the terrazzo on a Havana sidewalk, the lush vines of Sharon Core’s photographs and Christopher Kurtz’s exquisite and whimsical carved wood swing. 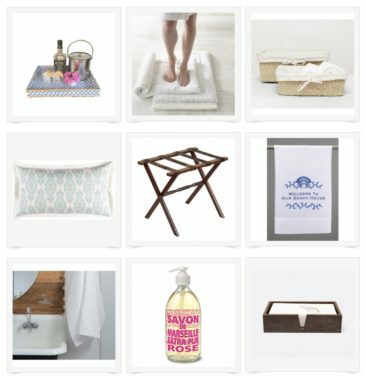 We like to see the rough and the refined rubbing elbows in our projects. 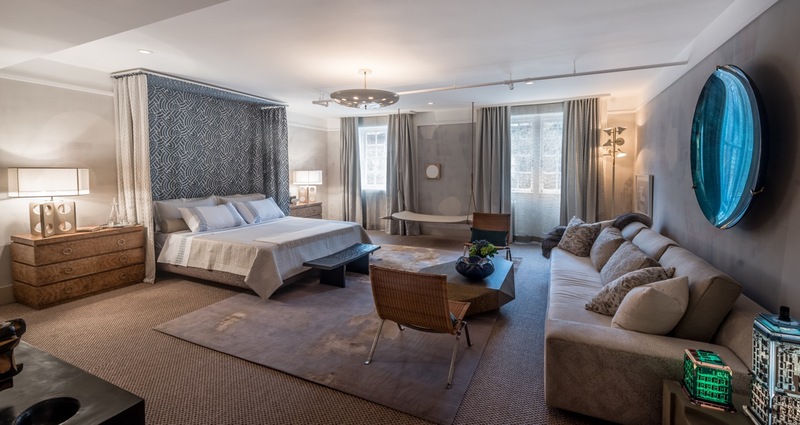 Elegant, transitional fabrics and a cashmere and silk area carpet (from Edward Fields) look even more refined next to concrete cubes, sisal carpet and hand-spliced hemp rope. This bedroom reflects our personal attitudes towards interiors where quirky playfulness is part of and integral to thoughtfully designed and crafted space, furniture and finishes. 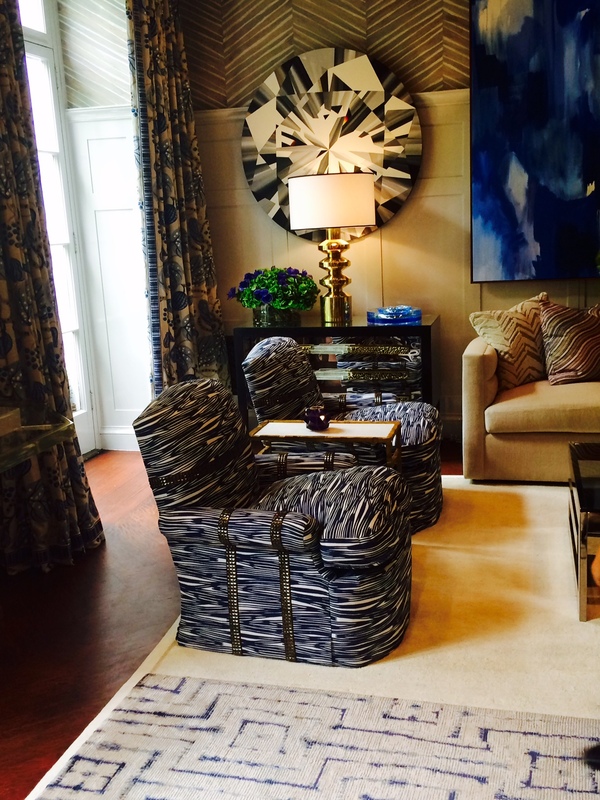 Known for creating serene interiors with natural palettes and sophisticated textures, Kate combined bold indigo blues with natural tone linens for the Garden Family Room in this year’s show house. “I was Inspired by the lovely courtyard and the beautiful adjoining kitchen, and wanted a family room that invited rest and relaxation. 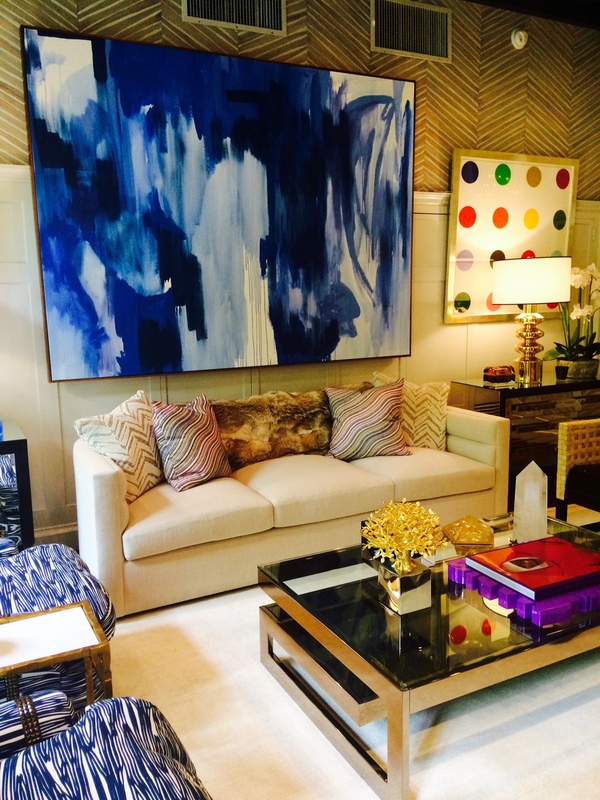 The perfect spot for morning coffee and evening cocktails.” The one of a kind rug by Stark was a catalyst for the family room’s palette along with the large abstract painting by one of Kate’s favorite artists, Kerry Irvine. Window coverings feature an ombre sheer by Mokum Textiles. Furniture is upholstered in organic linen with rich tones of indigo blues on the pillows. The round table by Hickory Chair is paired with antique iron cricket chairs and offers a wonderful vista of the courtyard garden. Timothy’s inspiration was as follows: Madame Amélie Beaumont grew up splitting her time between Paris and New York City. Upon her grandmother’s passing, Amélie inherited her townhouse in New York City. With her innate design sensibility, her appreciation for photography and modern furniture and help from her design industry friends, she redecorated with a nod to her childhood time spent in Paris, summers in the south of France and influences from her studies in the States. 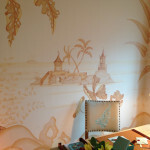 The wallpaper reminds her of summers in the south of France. The pigeon was her grandmothers favorite pet. Amélie was left the settee as well, had it shipped here from Paris and reupholstered in a silk velvet. She recalls many chilly winter afternoons sitting on it, listening to stories from her grandmother. Preparations are under way for an intimate supper in the dining room of Madame F., an always-stylish grande dame, who has developed some eccentricities in her later years—most notably a collection of wayward zoo animals that she’s been harboring in her garden for many years now. Known for her innate grace, colorful couture and even more colorful dinner parties, Madame F. had outlived three husbands, and was now enjoying her solitude in a well-appointed house with a lovely garden. On most days, she woke at noon and set about finalizing her plans for the evening. When she was not obliged to attend some philanthropic event or another, she would happily gather a small group for a carefree dinner of take-away Chinese delivered and served on delicate china, followed by cocktails and the inevitable late-night singing and dancing. But a surprising discovery in her city garden one chilly April morning changed her schedule forever. First came the zebra, quietly nibbling the grass in the shade of a lilac bush. It was quite a surprise but Madame F., a lifelong animal lover, was loathe to send him back to the zoo without a few raucous days of freedom, so she played him Gershwin out the window and called for a dish of steak tartare to be delivered from The Colony. The next day, a polar bear arrived, curled up on the garden bench. After that, came the giraffe, peering easily into the dining room window. We enjoyed meeting the sister team of Kirsten Fitzgibbons and Kelli Ford, and as mentioned above, we enjoyed learning that they are from Greenwich! 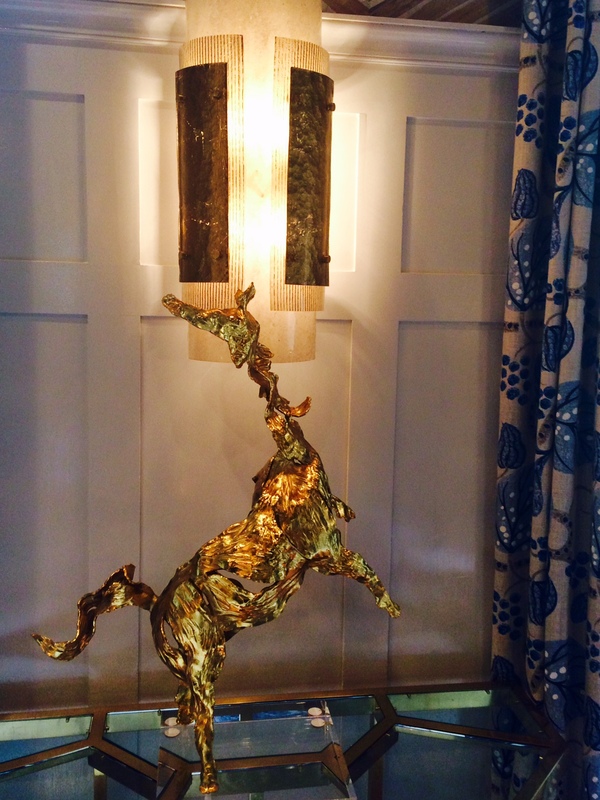 The Drawing Room in the 2017 Kips Bay Show House has inspired Kirsten Kelli to create a room of light and levity within a bustling and energetic city. The vibe is happy and light and the mantra is casual flow sophistication. This room can be at the beach in the Hamptons, it can be a serene oasis in a city or a calming respite off the ski slopes. The feel is the same; casual relaxation and uncluttered serenity. We have created a clear, clean white palate with points of interest and pops of color which are demonstrated in the art work on the walls; including, Damien Hirst, Kurt Pio and Roy Lichtenstein. A person in the room can sit down, decompress and regenerate their spirits with the calm palate, the comfortable seating and something for the soul to drink in everywhere you look. Billy Cotton is a multi-disciplinary American design firm known for its intelligence and unique sensibility. Led by creative director Billy Cotton, its mission is to imbibe environments and products with originality and nuance. Specializing in a multi-scaled approach to design, Billy Cotton’s work spans architecture, interiors, furniture, lighting and product design. The practice produces projects ranging from residential to commercial as well as new constructions and renovations. Which is your favorite room? Please post your comments below! 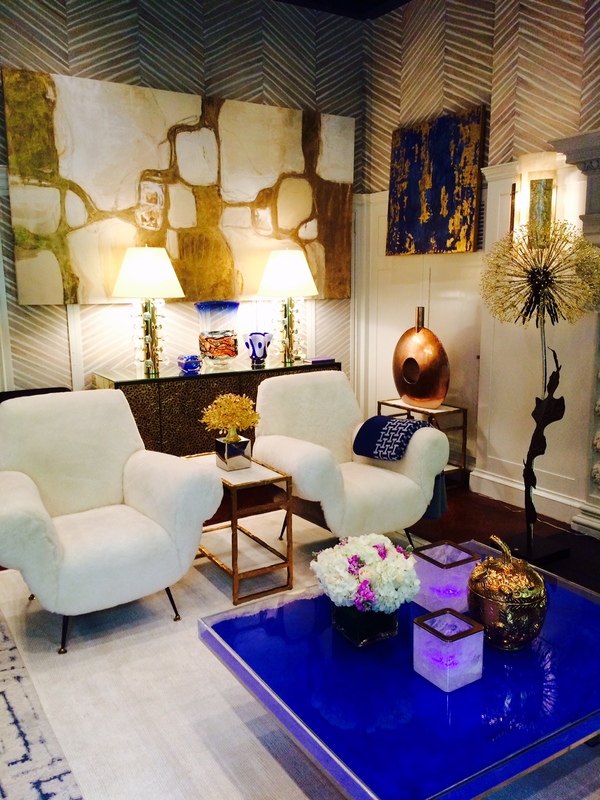 Grand Opening of the 43rd Annual Kips Bay Decorator Show House in NYC!